YAY!!! I received the Clarisonic Skin Care System today!! So excited. Read so many good reviews on this brush that made me decided to give it a try. Actually, I've been breaking out like crazy and reviews out there claim that this thing works like a MIRACLE!!! Hopefully, it'll work it magic on me. Anyway, review will come soon. Now this baby needs to be charged for 24 hours before it can glide on my skin!!! YIPIE!!! I was gonna take some before pictures of the pimples on my forehead but the flash never fail to take it away. So instead of my pimples pictures; you get to see me being VAIN old self before walking out the door! After 20+ shots, I finally managed to get one decent shot! You could tell I'm a newbie when it comes to this! HAVE A WONDERFUL WEEKEND EVERYONE!!!!!!! twin!!!! I missed your full shot posts and your face post :) :) :) I'm glad to see more of your posts..did you had your hair cut?? I love the layers! You looked so pretty twin!!!! Now now, you're definitely the angelic one...EXCEPT the provocative photo! LOL :) So cute! P.S. You don't need to lose ANY weight! aww you look really cute and very pretty!!! You know which pose I'm talking about! LOL but don't worry it was done tastefully! :P I love it! You are so funny! Where's the remaining 5lbs again??? Can't seem to see it! 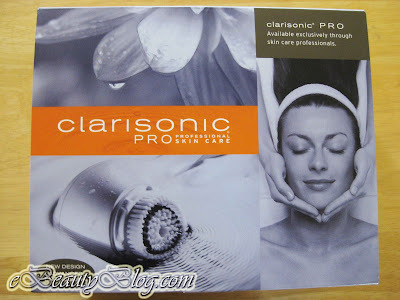 I hope the Clarisonic works for you :) It'll be great if it works! twin, I will find it hard to say all the positive stuffs if I don't see any positive stuffs about you :) so trust me, it's all from the heart! I'm not sure what the reasons are but I have the feeling it has to do with the trip from China :( I guess we've caught some viruses :( I hope not! So pretty! Can't wait to hear what you think! what? lose weight? you seriously don't need to lose any! cute outfit! pimples?? what pimples?? i know the flash washed it out but i still think you've got gorgeous skin :) much better than mine! my goal is to have skin as good as yours!! oh for that cucumber drink, if we add like any other fruit, such as apple,oranges, etc etc, will that "disrupt" the strength of the drink to give the good skin effect? Can't wait to hear your further review and love your fashion style! where'd you get your top? hey! was there anything in particular that you're interested in? i can take pics of them. You look gorgeous and I love that outfit! I'm digging the teal blouse. I'll start taking pictures for every step the next time I cook! :) I like your blog. Uhh.. WHAT PIMPLES? You mean your invisible non existing ones? LOL!! I love your top!! What brand is it where'd you get it tell me tell me! I've been meaning to ask you... how did you lose the weight you've gain... you said you lost 5 and need to lose the other five... I've gain 10lbs as well and been trying to lose it but it's so hard... can you share you secret as to what you did to lose that 5lbs of your... thnx. I drink a full cup of water before every meal. That way, the water will help fill up my tummy and I'll eat less. I also drink apple cider vinegar (the pills) after each meal. The apple cider vinegar helps break down the food faster. Believe it or not, when the food digest quicker, your skin looks better too. Sometimes instead of drinking water before every meal, I would eat fruits and vegetables. It's also the best way to fill you up and yet help you eat less. I hope these help for you. Please let me know if you try it. You've been a big help... thank you so much. I don't know of any retail store that sells apple cider vinegar in pills form. I bought the liquid form before at Trader's Joe. You could give Trader's Joe or Mother's market (if you have one near your area) a call to see if they have them.